Lady Angelique Drummagan, a half-Scottish, half-French countess, has suffered much pain and betrayal in her past. 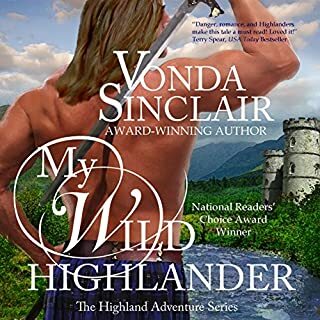 She wants nothing to do with the sensual Scottish warrior the king has ordered her to marry because the rogue could never be a faithful husband, but she has little choice in the matter. Dangerous, greedy enemies threaten her from all sides, and she's in dire need of his protection. Voice is annoying and story is weak. A very captivating storyline. I didn't want to put the book down! I Can't wait to read the next book.